Lamp efficacy is important because the amount of light emitted from a lamp (in lumens) compared to the amount of power used by the lamp to produce it (in Watts) is key for energy efficiency. Both Isaro LED and R2L2 have a high lamp efficacy. Good luminaire design is more important than ever. Isaro LED and R2L2 have been carefully designed for high optical and thermal control and as a result deliver significant efficiency gains over the existing fittings. With extensive lifetimes in excess of 50 000 hours, Isaro LED and R2L2 are designed for minimal maintenance. 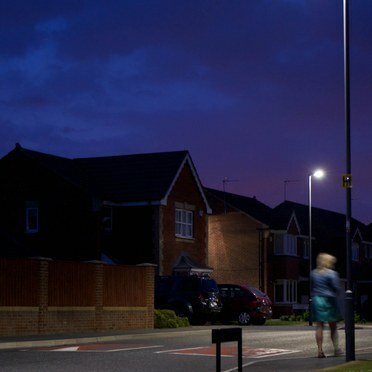 By using up to date LED modules (replaceable in R2L2) and keeping the luminaires working efficiently, the need to over light the road to account for a reduction in light levels over time is minimised. A partnership spanning more than 50 years, based on trust and innovation. With a population of more than 500 000, Durham County Council is one of the largest local authorities in England. 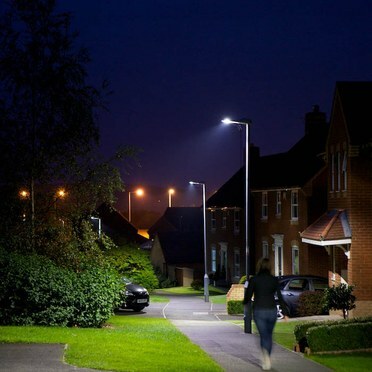 As with many other UK and Ireland local authorities, it has a long history spanning more than 50 years working with Thorn – a partnership first ignited by the mass production of street lighting. 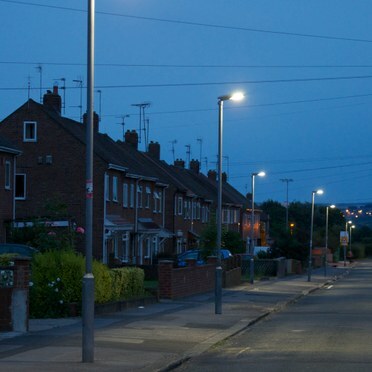 Today Durham County Council has approximately 86 000 streetlights and illuminated traffic signs throughout the county, contributing to one of the council's biggest energy costs. In line with the Carbon Reduction Commitment Energy Efficiency Scheme (CRCEE) and the Climate Change Act, the council has been working to reduce both its total energy consumption and CO2 emissions by 40% by 2016. One important part of the initiative is the upgrading of conventional technology to LED. Since 2010 Thorn has supplied more than 14 000 road lanterns as part of a major ongoing programme to replace all of the council's inefficient SOX, SON and Cosmo lanterns. In 2010 the chosen luminaire for more than 8 000 fittings was Oracle S as it offered the best fit for the purpose with a very efficient HID lamp that offered energy savings and good light output. Most recently, in 2013, Thorn won a contract based on the price, photometric performance and efficiency of its lanterns to supply Isaro LED and R2L2 LED lanterns over a 6-year period. More than 7 400 of these luminaires have been installed to date. 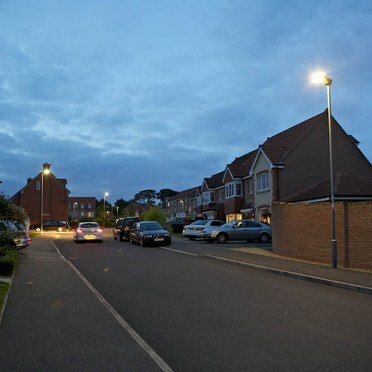 Compared to the council's inefficient SOX, SON and Cosmo lanterns, Isaro LED and R2L2 LED offer improved photometric performance along with annual energy savings. Samantha Berry, Key Account Manager, explains: "Thorn is committed to research and development to ensure continuous product improvements. By installing the most efficient LED modules as soon as they become available, Durham County Council benefits from performance and energy savings.Crucially, the move to LED lighting and reduction in lighting classes in line with BS5489-1:2013 has provided Durham County Council with an annual energy saving in excess of 50%.Our ability to manufacture and supply a quality product in line with Durham County Council's demanding delivery schedule has been key to the success of this programme to date." Thorn worked closely with the client to deliver luminaires pre-wired with the spigot fitted in the correct orientation to allow the luminaries to be installed from delivery without any additional work being carried out by the customer. Thorn also provided a copy of the label inside the luminaire attached to the cable to allow identification of the luminaire without having to open the canopy. This has allowed Durham CC to take the luminaires directly to site for installation and to be recorded for inventory purposes without having to open the luminaire, thus reducing installation time. The driving force behind the successful management and project implementation was to achieve customer satisfaction by supplying a quality product in line with Durham CC's demanding delivery schedule. Thorn successfully coordinated and supplied in line with the client's delivery plan, meeting the initial and subsequent demand within the required short timescale. This achievement is attributed to Thorn's manufacturing capability and the experienced Project Management team, who organised and coordinated the mobilisation through careful planning and proactive communication with all stakeholders concerned. 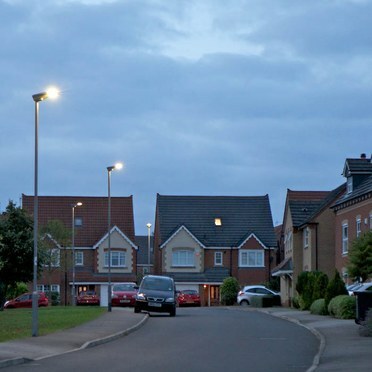 Darren Hubbard, Senior Street Lighting Engineer, Durham County Council, says: "Thorn Lighting has been a road lighting partner to Durham County Council since the 1960s. We have found a long-term procurement approach with Thorn to be very beneficial, delivering benefits from continuous product and service improvements. By building on our previous experiences and project successes we can always expect and enjoy more from Thorn. We benefit from faster installation processes and lower energy consumption plus greater service efficiency. Going forward, I expect the products and services provided by Thorn to continue to improve to offer even better quality and performance while still providing excellent value for money". Isaro LED offers economic, accurately controlled LED lighting for minor and major roads. Excellent heat dissipation and a long lifetime minimises maintenance and total cost of ownership while high optical performance with adjustable tilting provides accurate lighting control. The Isaro LED lanterns are delivered pre-wired with the spigot fitted in the correct orientation to allow the luminaires to be installed from delivery without any additional work. A copy of the label inside the luminaire is also attached to the cable so the luminaire can be identified without opening the canopy. These benefits have in turn enabled the council to reduce installation time and costs as well as easily record the luminaires for inventory purposes. offers the same photometric performance as Isaro LED but has a universal integrated spigot adaptor for flexibility and easier, quicker installation.